Why mess with perfection? This was the agonizing question that kept me up last night while I was emotionally preparing for this comparison review. The Campfire Andromeda is my favorite IEM of all time. So, imagine my dismay upon discovering that Campfire is releasing a new Andromeda: the Sssss. What is this bullfreq? Then again, as a Campfire loyalist, I better give these silver newcomers a chance. Let’s find out what the hell is going on in this Campfire Audio Andromeda vs Campfire Audio Andromeda S Review. We won’t go into too much detail about either IEM because my colleagues and I have written extensively about each one. (Click here and here). This review is for those already familiar with both earphones and can’t decide which one to marry. The first difference you’ll notice is the weight. The Andromeda S is a bit heavier than the Andromeda. But that shouldn’t bother most people; once the S was in my ears, I mostly forgot about it. Otherwise, the size is the same. The Andromeda and the S share the same specifications in terms of frequency response, sensitivity and impedance. Both IEMs also house the same 5 drivers: dual high frequency, single mid and dual low. But the contrast lies in the different shell materials. While the Andromeda employs an aluminum shell, while the S has gone polished stainless steel. Campfire has done the steel thing with the Atlas and the Comet, and some Campfire fans may have noticed the difference in sound signature produced by the stainless steel design. The lows on both Andromedas are perfect in their own ways. The Andromeda has more texture and grip, making pop sound tighter, and acoustic bass more nuanced. The S, on the other hand, reverberates just a tad more, but has slightly deeper, richer and smoother bass. For this reason, it would the better IEM for hip hop and some electronica. For a cleaner sound, you’ll prefer the classic Andromeda. But if you like you low-end a tad bigger, go for the S.
Both IEMs show the same presence in the midrange. My guess is that the high mids on the S have a touch more emphasis because the vocals seem to sit a little more forward. I prefer the classic Andromeda for this reason; the midrange plays a bit fuller when listening to big rock choruses, as the vocals are slightly more embedded within the mix. I can’t decide which IEM sounds better with respect to percussion. I like the tightness of the snare listening to the Andromeda, but the S is more hard hitting, making it slightly more lively in this respect. But listening to acoustic guitars and string instruments, the major difference between the two IEMs again becomes clear. The Andromeda shows more texture, bringing out the subtleties in timbre more skillfully than the S. The S, on the other hand is little more refined, and sounds closer to a reference IEM. It’s more neutral, and thus less emotive. So, if you’re a sucker for detail and romance, stick with the green. Listening to violins, the classic Andromeda remains the more transparent and detailed IEM. It’s got a rawness in sound that the smoother S can’t match. Going back to pop, the higher frequency percussion instruments sparkle a little more on the classic Andromeda, giving pop music a bit more snap. Objectively speaking, the classic Andromeda seems to be the more talented IEM in this frequency range. Because of that tinsy bit of reverb on the S, it sounds more spacious. I should clarify that the S doesn’t really have a “reverb”, but the classic Andromeda is so dry that it makes the S seem almost echoey in comparison. But in terms of instrument placement and the multidimensional feel, both IEM’s do a similarly fantastic job. The Andromeda S is an amazing IEM except for the fact that it doesn’t sound like the Andromeda. It doesn’t have the classic grippy, textured sound signature, which is one of the qualities that made Campfire famous, whether people recognize it or not. Still, if you’re a fan of the Andromeda but want just a touch more low end or oomf in your percussion, the S is good alternative. 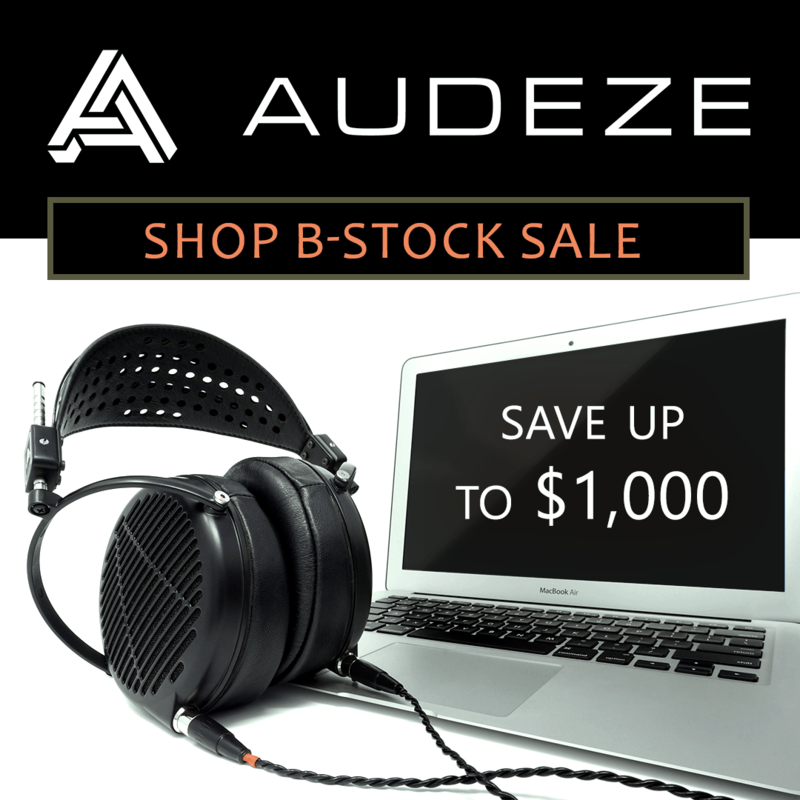 Next articleLimited Edition Audeze LCD-XC Alligator!